So we spent hours upon hours finding the highest quality materials and roofers that we could stand behind for 50+ years. As a result, any roof we install carries a lifetime warranty on both materials and labor. I know. I know. Halloween has just come and gone and Thanksgiving hasn’t happened yet. But I’d be lying if I said I wasn’t excited about Christmas. This is the one holiday each year for which I always make a big deal about decorating. 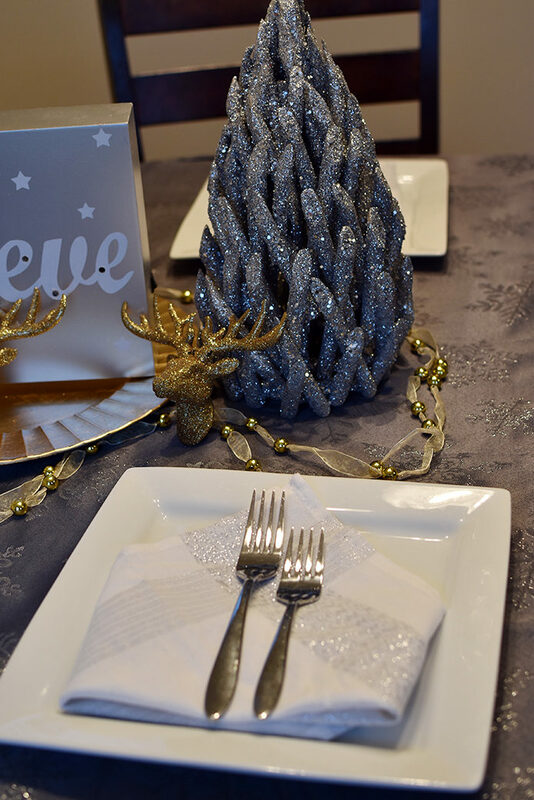 This year, I started with a beautiful tablescape with items I found at Big Lots, and I want to help you do the same. 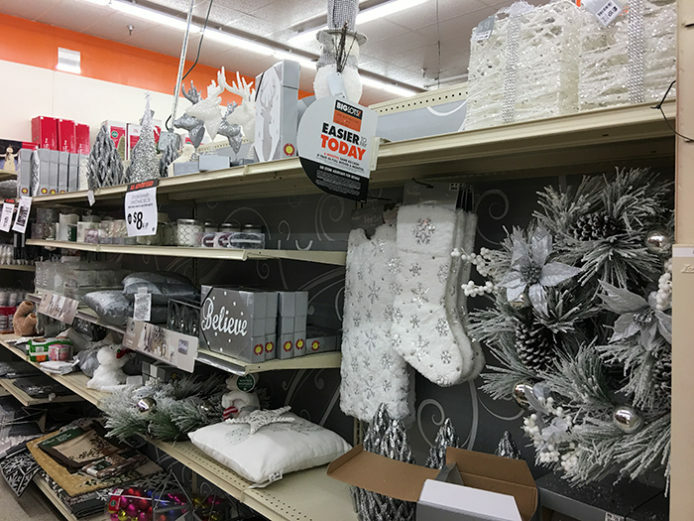 The holidays are just around the corner and Big Lots has everything you need to get your home ready. Maybe you prefer traditional Christmas colors and decor. In that case, step 1 is pretty easy. Just use some combination of red, green and gold. My family doesn’t really do “traditional”. In fact, each year, we come up with a new color palette for our decorations, and we try hard not to do the same colors twice. This year, thanks to the colors of our living room furniture, we were inspired to try yellow and gray. 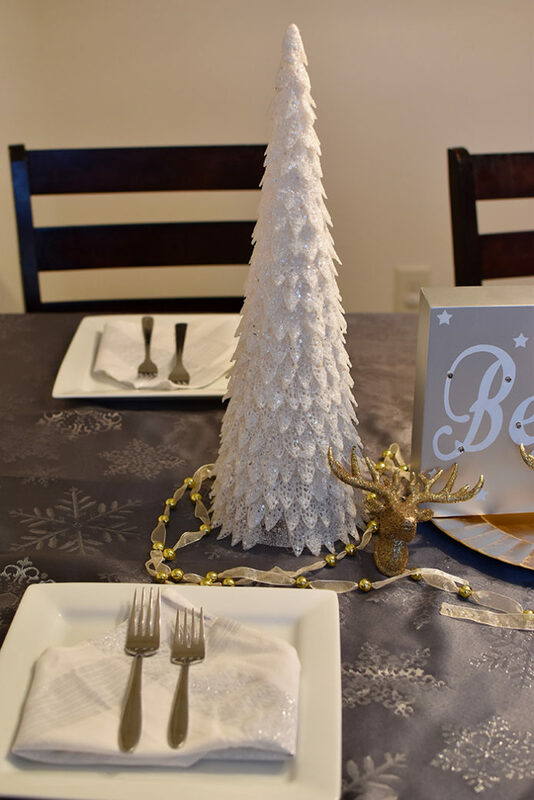 Alas, yellow and gray decorations are hard to come by, so we decided to go with gold, silver and white instead. Forget what you ever heard about mixing metallics. Use one of the colors in your palette as a base color for your tablecloth. For a cleaner, more sophisticated look, go with a solid color or a large scale pattern, as opposed to a multi-colored, small-scale design, which will create a busier look. I found this amazing, dark gray tablecloth at Big Lots, and it was the inspiration for my whole look. The aisle where I found it contained dozens of items in silver and white, so it was easy to build from there. When I am decorating a small space, I tend to use two method: Buying multiples of a single item (for example, three identical vases in a row), or varied items in different sizes. The latter makes for a more interesting look, but it requires some restraint to avoid making the space look cluttered. When I found two different Christmas tree pieces — one in silver and one in white — I knew I’d could start there. 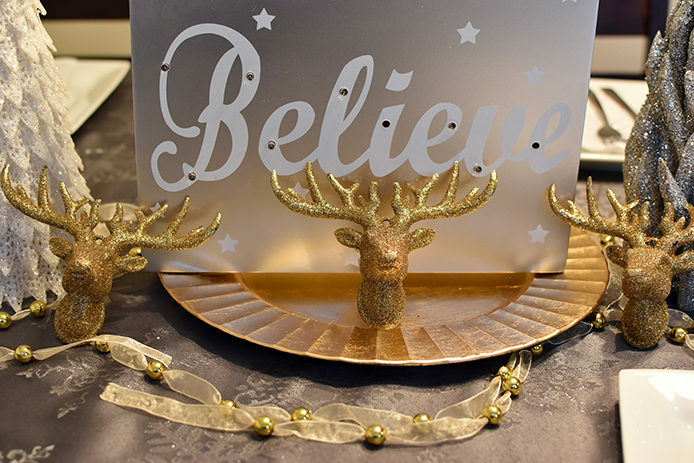 Next, I found the lightup “Believe” plaque that I knew would fit perfectly. Finally, I had to add some gold to the table. I chose a charger plate to anchor the plaque, and some smaller ornaments and garland to balance the larger pieces on the table. Excluding the white dinnerware, which I already owned, I was able to deck out my entire table for less than $100, and with the exception of the tablecloth, these are all pieces I’ll be able to use elsewhere in my home for decorating, like the mantel or the table in our front entry. 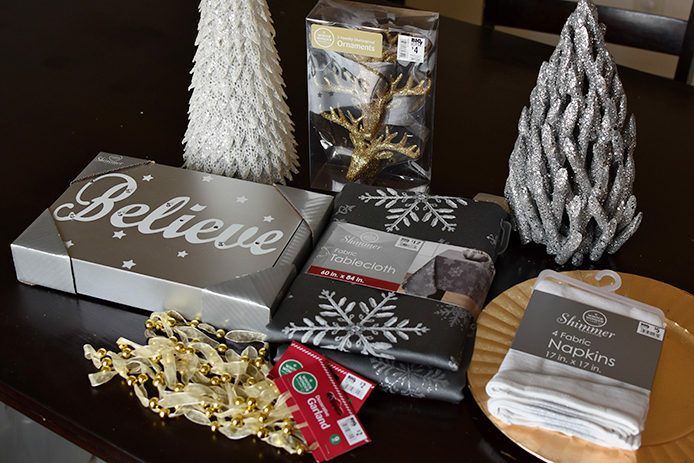 Head to your local Big Lots or BigLots.com and you can check off all your Christmas decorating affordably. In addition to small-scale decorating, you can find larger items too, from Christmas trees and Christmas lights to lawn decorations. 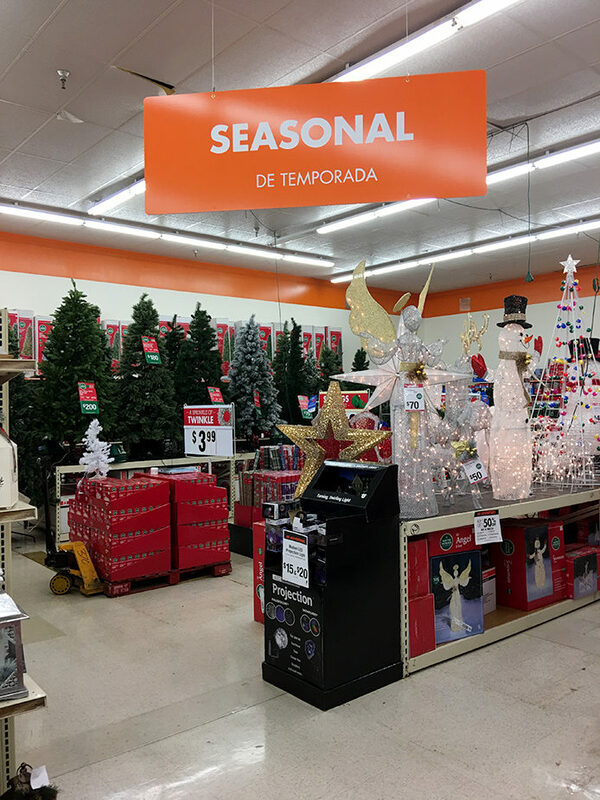 And while I’ve always been an advocate of real Christmas trees, we learned last year that my toddler is allergic, so we know we can head to Big Lots for a high-quality artificial tree that will last us for years to come. What about you? Have you started decorating your home for Christmas yet? Will you head to Big Lots to shop for decor?